Vera Rocco has been a registered nurse since 1992. A battle with cancer gave her insight and a determination to move forward with her dreams. She will graduate this spring with a Master of Science in Nursing, with education and administration concentrations. She works as the clinical educator at Mercy Medical Center in Merced, and the clinical assistant at Merced College. Her parents emigrated from the Philippines and worked extra hours and extra jobs to put their daughter through college. “Hard work, perseverance and a supportive family surrounded my life,” Rocco said. 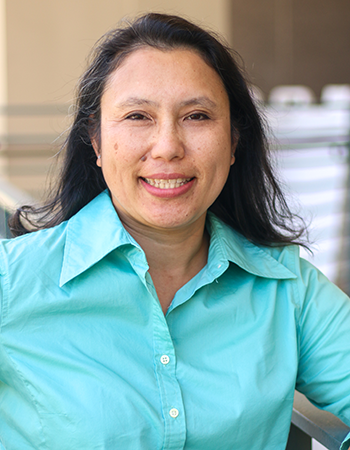 While a graduate student at Stan State, she has been an active volunteer, including serving on the Code-Blue Subcommittee and the Collaborative Alliance for Nursing Outcomes (CALNOC) Skin Study. She participated in a group research project on managing patient safety and assisted with a presentation at the 2017 Association of California Nurse Leaders Conference.